A small European annual species of ± bare, moist soil. First collected in Michigan by N. W. Folwell in 1832 in Detroit, Wayne Co. 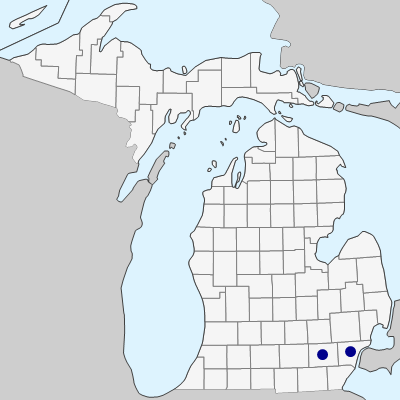 In 2004, collected again in Wayne Co. and also Washtenaw Co. by W. W. Brodovich. Recently also collected in disturbed, bare, moist soil in southwestern Ontario and expected to increase. MICHIGAN FLORA ONLINE. A. A. Reznicek, E. G. Voss, & B. S. Walters. February 2011. University of Michigan. Web. April 19, 2019. https://michiganflora.net/species.aspx?id=1661.